After two 16-year-old boys were shot - one fatally - Commissioner Patrick Ryder says his department, village police "working together." 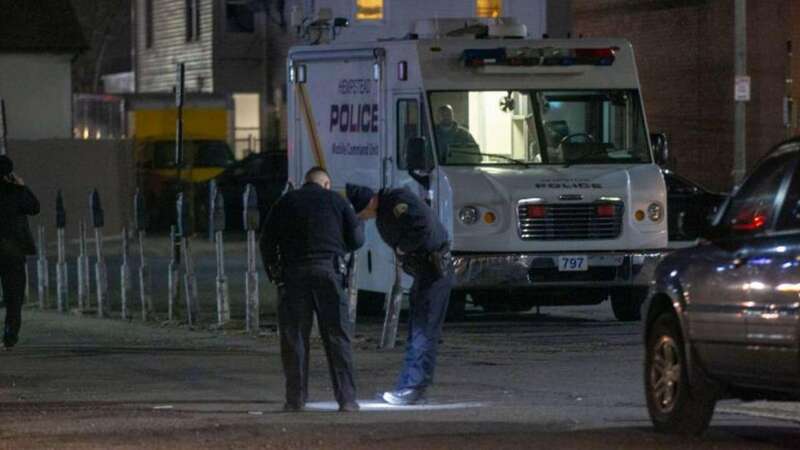 Nassau County Police Commissioner Patrick Ryder said Thursday his department is working with Hempstead Village police to address an increase in violence in the community after two 16-year-old boys were shot — one fatally — on Wednesday afternoon. Ryder said an announcement will be made next week regarding the issue. After a spate of shootings and two daytime homicides in October, Ryder said his department was working with Hempstead police. The latest shootings occurred at 5:48 p.m. in the rear parking area of a West Columbia Street address, police said. The boys were taken to a hospital where one was pronounced dead and the other was treated for unspecified injuries that were not life-threatening, police said. No details about the circumstances of the shootings were available, and police declined to identify the teenager who died. The shootings were under investigation and police urged anyone with information about them to call Crime Stoppers at 800-244-TIPS. All callers will remain anonymous.